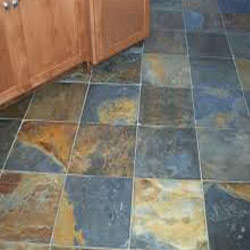 We offer a wide range of high quality Slatestone Crazy to our customers. Slatestone Randoms is calcareous sedimentary rocks with a geological nature to occur in layers or beds. These products are available as per the requirement of clients and at affordable market price. We are highly accomplished suppliers of premium quality and compositionally accurate Natural Slatestone Crazy. These yellow colored Slatestone random are used across various industries for effective applications like manufacturing of cement, mortar, as a reagent in desulphurization, glass, paper, plastic, paint and other applications. These products are available at competitive market price to our customers. Looking for Slatestone Crazy ?